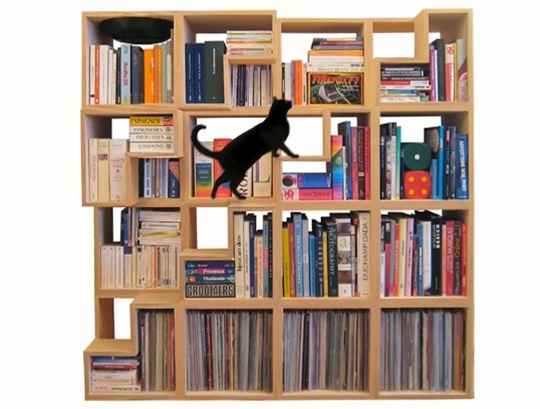 Belgian designer Corentin Dombrecht created this modular bookshelf system that shelves both books and cats. An irresistible “cat basket” draws the cat up the stair-like shelves to the top of the bookshelf (see the video demo.) The Cat Library is set to be released in May.